When your automatic garage door won’t open, there’s a high likelihood that the problem is electrical rather than mechanical. Mechanical problems tend to give you some warning signs before the door stops working completely. 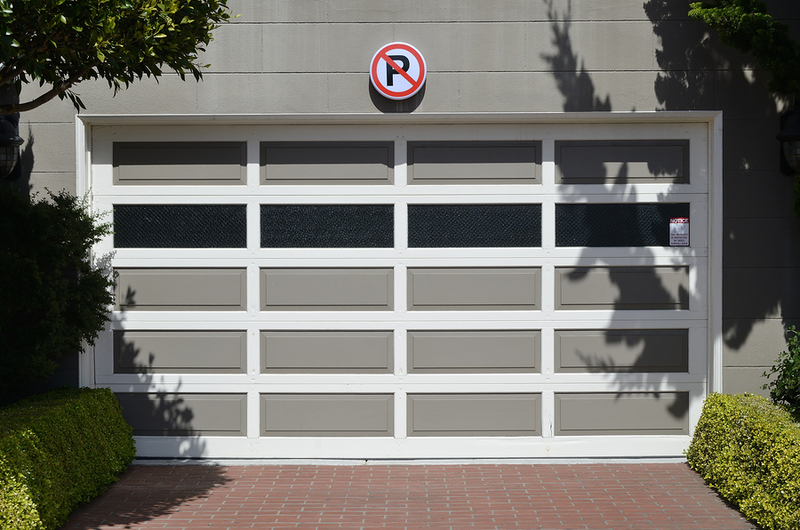 There are a number of possible reasons for an automatic garage door to suddenly refuse to open. If you should find yourself stuck outside your garage with an impotent remote in your hand, try the following checks before calling in the repair guys. Someone may have inadvertently switched your automatic door opener into “lock” or “vacation” mode. If so, your door will not open in response to the remote. If the door is not in lock or vacation mode, move on to the next check. 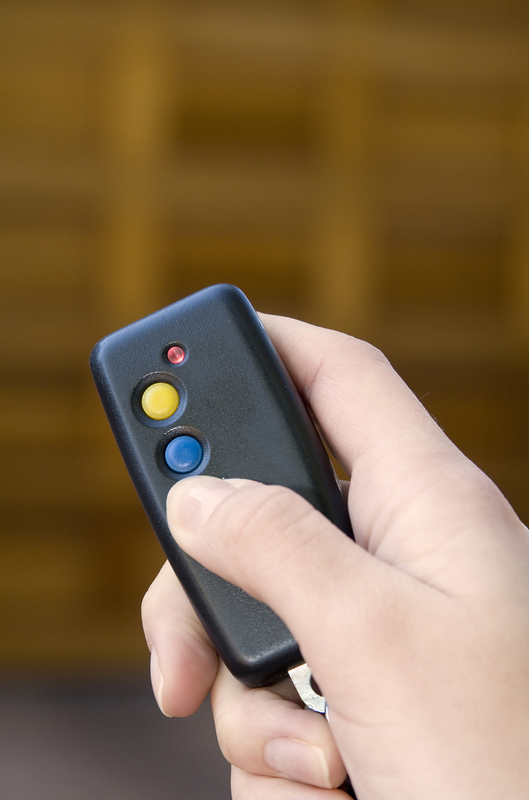 If the battery in your remote control is getting low, the automatic garage door opener unit may not receive a signal from the remote. Go into your garage (via the internal door from your home) and check for a red blinking light on the garage door opener housing. If the light is blinking, press the “open” button on your remote control. If the door opens, move further from the control unit and press the “close” button. If there is no response from the door, you know your battery is getting low and is only sending a weak signal. Replace the battery and your door should open and close just fine from outside. If the door doesn’t open or close even when you are close to the control unit or the red light is not blinking, replace your remote battery and then test the door again. If the door still won’t respond to the remote control after you have replaced the battery, move on to the next check. If you look closely, you will see that there are two fine wires running from the garage door control unit to the internal switch, which is normally located near to your internal garage door. There will be two more wires running from the control unit to each of the electric eyes at either side of your garage door, near the bottom. You will need to test all the connection points, do this by wiggling one wire at a time while pressing the “open” button on your remote control. In total you will be testing two wires at the wall switch, four wires at the control unit and two wires at each of the electric eyes. If the door opens while you are wiggling any of the wires and pressing the “open” button, you will know that the wire you are wiggling is loose. Shut off the power to your automatic garage door. Use a screwdriver to tighten the loose wire at its connection terminal and then turn the power back on. You should find your door will now open when you operate the remote control. If you still can’t get your garage door to respond to your remote control after following all the above checks, it might just be time to call in a local garage door installation/repair service. The technician will be able to identify any more complex problem with your automatic garage door and get it back in working order for you. 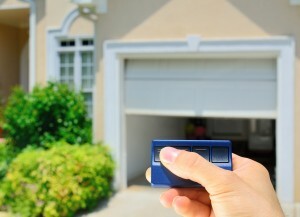 What Puts the Go into Your Garage Door Opener? Like many convenience gadgets in your home it’s easy to take your automatic garage door opener for granted. You just press the little button on the remote and your door opens or closes. However, the system which enables your garage door to open automatically has some clever engineering packed into it. Even your electrical supply is used in a smart way to deliver the oomph necessary to get that heavy door moving, especially when you are opening it. Perhaps the most important component putting the go into your garage door opener is an item called a capacitor. A capacitor(sometimes known as a condenser) is an electrical component built into your garage door opener. Its purpose is to build up a store of electricity from your mains power to deliver in a fast burst. This is what gives your garage door opener the extra energy required to overcome inertia and get your door moving. More accurately called a “start” or “electrolytic” capacitor, this small component quickly builds up an electrical charge when you operate the switch to power your door opener. After sufficient power has built up, the capacitor discharges. This gives the opener mechanism a jolt of power. Garage door opener capacitors can fail. The symptoms of a faulty capacitor include a failure of the door to move when you press the opener’s start button. Although the door won’t open you will probably hear a humming or buzzing sound coming from the opener unit. In some cases, the door may begin to move but stop after opening or closing partially. A few garage door opener models have a system of warning lights which will flash when the capacitor fails. If the capacitor in your garage door opener gives up the ghost, it’s a simple task to replace it with a new one. Of course the most important point is never to try and work on your door opener without first isolating it from the power by unplugging the cable from the wall or ceiling outlet. If you remove the cover from your door opener unit, you should be able to locate the capacitor clamped to the side of the housing. A capacitor normally has the appearance of a large black cylinder. Replacing the capacitor is simply a case of unclipping the wires from the terminals on the component, unscrewing the clamp which holds it in place and then fitting a new capacitor in place of the faulty one. After reconnecting the wires, just replace the cover on your opener, plug the unit back in and you should be good to go. If you prefer not to mess with your garage door opener or you don’t like working with electrical systems, just call on your local garage door installation and repair service. They will be happy to send a technician to replace the capacitor for you. The garage door in your home allows you to access your garage easily and should therefore be kept in excellent, functioning condition at all times. 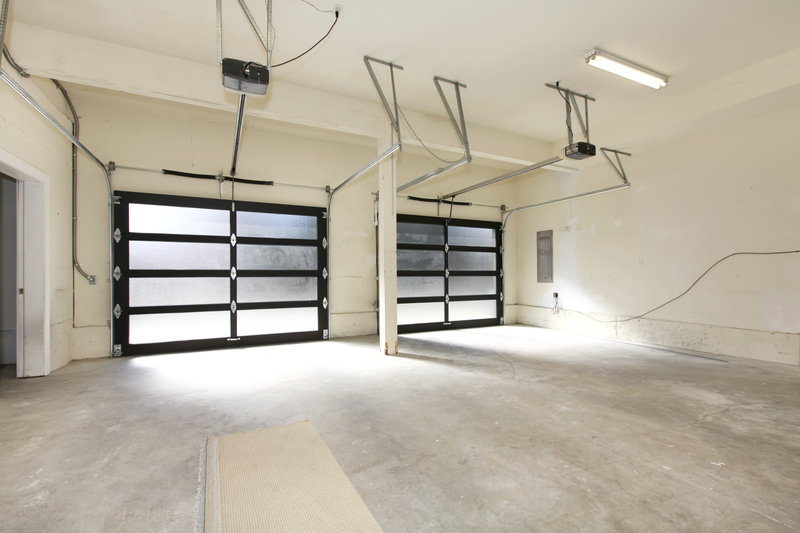 Keep in mind these maintenance tips in keeping your garage doors in excellent condition. For emergency Roseville garage door repairs it’s important to get in touch with an expert repair service provider in your area. Keeping your garage door well-lubricated is one of the most basic garage door maintenance tips there is. Doing so keeps your garage door working perfectly all year round. Regular lubrication should be carried out three times to four times per year. You may use regular engine oil or other lubricant oils, as long as it is not grease, or any other type of sticky lubricant. Grease often results in sticky surfaces, which in turn collects dirt, dust, hair, and other particles. Over time, a black paste can form throughout the garage door hinges, rollers, and springs. 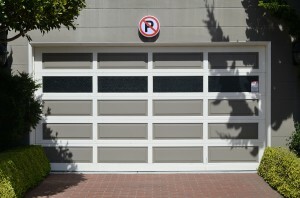 For proper maintenance, don’t hesitate to contact your trusted Folsom garage door services company. Without proper maintenance, rust can collect in your garage door springs, resulting in breakage. This is why it’s important to ensure a rust-free, smoothly operating spring system on your garage door at all times. Whether you have an extension spring system, a contained spring system, or a torsion spring system, maintaining your spring system should be a priority. Springs could fly across your garage, causing deadly injuries to kids and other family members. By giving your garage door the proper maintenance, you can keep yourself out of troublesome garage door repair emergencies, especially at night. However, should garage door emergencies strike, you can always count on Perfect Solutions Garage Door, Inc, for all your emergency Roseville garage door repair needs. 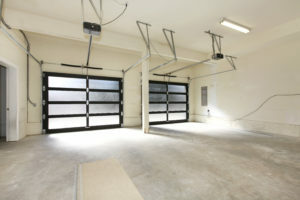 FB – Check out this post to learn how to maintain your garage doors and keep them in perfect condition all year round.